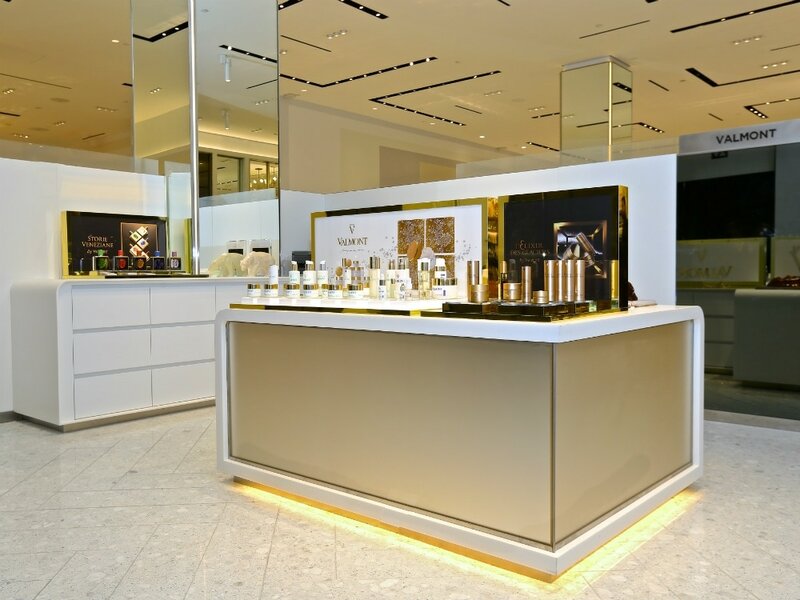 Luxury Swiss skincare brand Valmont has launched a new beauty counter at Saks Fifth Avenue’s flagship store, in tandem with the grand reopening of Saks’ reimagined 32,000-square-foot beauty space. The Valmont counter will transport customers into the brand’s luxurious universe, complete with Murano glass artwork designed by Valmont owner and artistic director Didier Guillion and created by master Murano glassworkers. Aside from the brand’s iconic skincare and fragrance offerings, the Saks counter will also offer some exclusive products available only at the retailer’s NYC flagship. 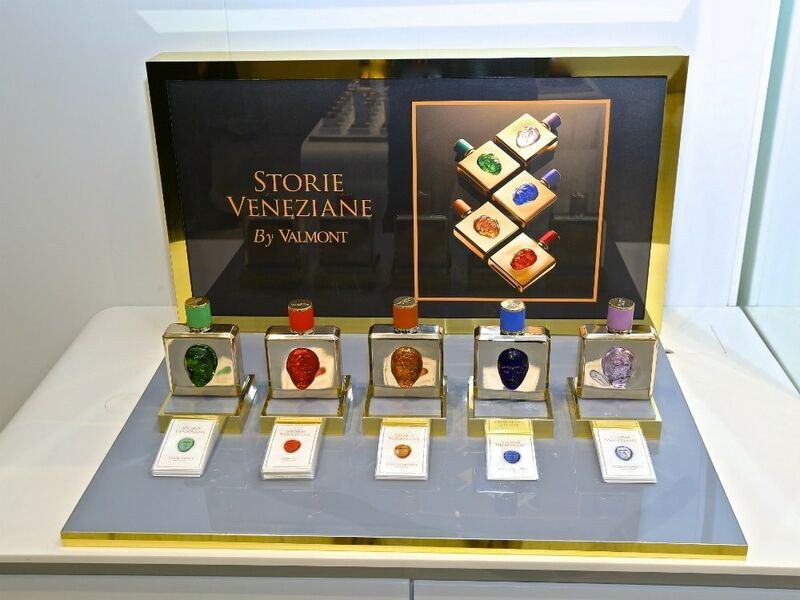 Storie Veneziane, an haute couture fragrance collection inspired by Venice and the art of Murano glass, is comprised of five scents named after a pigment used by glassmakers. Each fragrance tells the story of a specific neighborhood in Venice and features a unique hand-blown mask in Murano glass. Storie Veneziane will be available from May 22 through August 31 at Saks Fifth Avenue’s flagship store. In September, SPA Valmont at Hotel Plaza Athénée will also offer the fragrance collection. But the exclusivity doesn’t end there; three special skincare sets will be sold in limited quantities, featuring signature products from Valmont’s collections, ranging from $360 to $1,125. To discover the world of Valmont, visit valmontcosmetics.com or Saks Fifth Avenue at 611 Fifth Avenue, 212.753.4000.